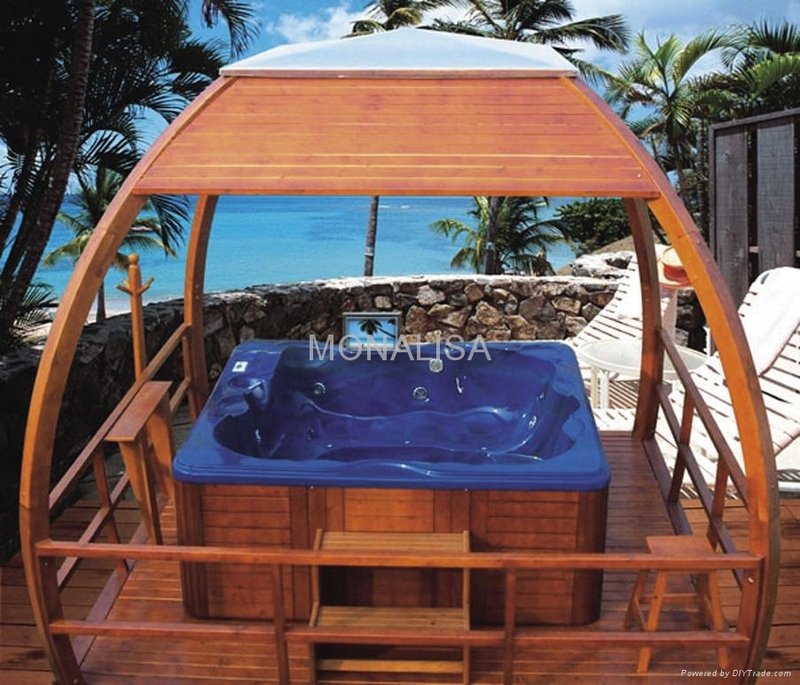 This pretty Western Red Cedar gazebo style Hot Tub Enclosure is perfect to shade and protect you from the elements as you enjoy your hot tub. Add a Bar Kit, to place your glasses of wine, Planters to compliment the beauty of this fine gazebo and Steps for easy access. 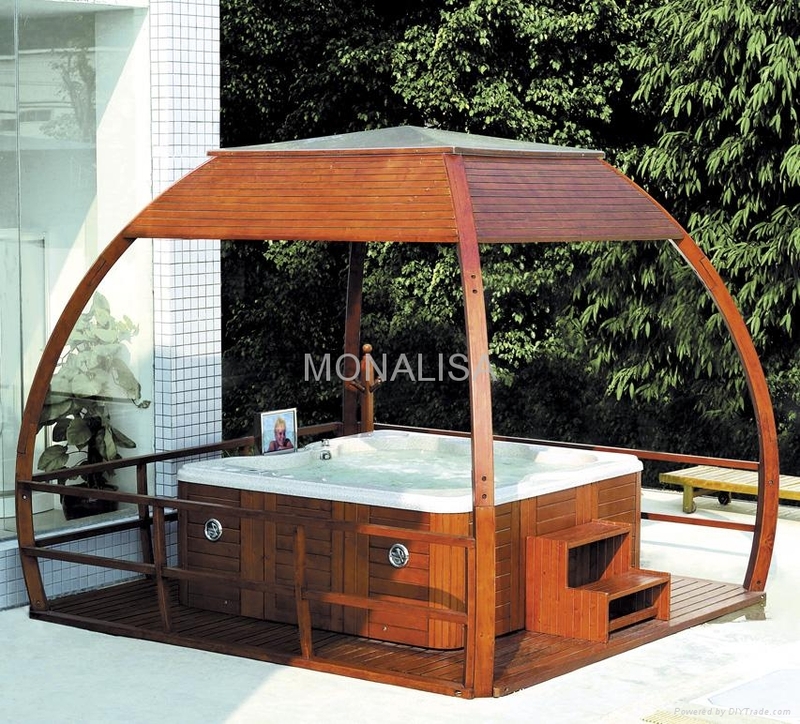 Decorate your whirlpool tub gazebo with lights and hanging baskets and enjoy the evening soak surrounded by the fragrance of flowers and cedar.